Electric burr coffee grinders are a must for anyone who is serious about their coffee. When I was told about this some years ago, I actually didn’t believe that it would make much of a difference. We’ve looked at 22 burr coffee grinders and covered more than 45 hours of research and testing to create the review this year, so I can recommend that the Baratza Virtuoso Electric Burr Grinder stands out as the best electric burr grinder to buy for the majority of people. This burr coffee grinder has loads of useful features and scored the highest with us and our product testing panelists. In the Baratza Virtuoso Burr Grinder, the guys at Baratza have produced an easy to use grinder which will allow you to create a coffee shop level grind in your own home. This electric burr grinder is excellent at creating a uniform grind. Perfect for espresso, drip, press pot and manual brewing. The Virtuoso uses a 2nd generation gearbox for a quiet grind from fine for espresso's to coarse for a French press. Designed to maximize freshness and minimize coffee grounds left behind. With an elegant design the Virtuoso supplies an easy to use, highly functional addition to your kitchen. Efficient motor provides a smooth consistent grind even for longer grinds that remains relatively quiet. Coffee comes out delicious and fresh every time. 40 settings for adjusting the consistency of your grind. With a 60 second timer and segmented graphics this machine is easy to use. Just choose your consistency set your timer and grind to perfection. All you need is to grind a 1/4 pound of coffee to season the grinders burrs. Other than that you can use a damp towel or cloth to wipe away any excess residue. Very easy to use just pour in your beans select how fine you want your grind and set the timer. Wait for it to finish and you are good to go. The machine is quite durable as long as you are using it as it's meant to be used. It's not a football but it is a reliable counter top coffee maker. The Baratza Virtuoso comes with a full 1 year warranty and customer support from Baratza. The Baratza Virtuoso has many assorted features that separate it from many of the other electric burr grinders we tested market. The range of grinds is impressive and the quiet grind is nice to have. The design will look great in any kitchen. The cost is relatively high but it provides a close to professional level grind from your home. The only issues are you won't be able to grind absolutely everything (no burr grinder does!). We have covered burr coffee grinders, coffee makers and espresso makers for a few years now. Did you know that Brazil is the world’s biggest producer of coffee, where over 5 million people are employed in cultivation and harvesting? Since we started covering them, we have logged many hours of research and testing (Mainly in the morning). We’ve looked at a myriad of types of burr coffee grinders to create this review each year. We always abreast of reviews from other major companies that also test or review products, such as, Trusted Reviews, Which? and Gizmodo. Then we do our own testing by consulting experts (see credits at the end), and testing ourselves and with members of our consumer product testing groups to provide their feedback through our in depth product testing programs. 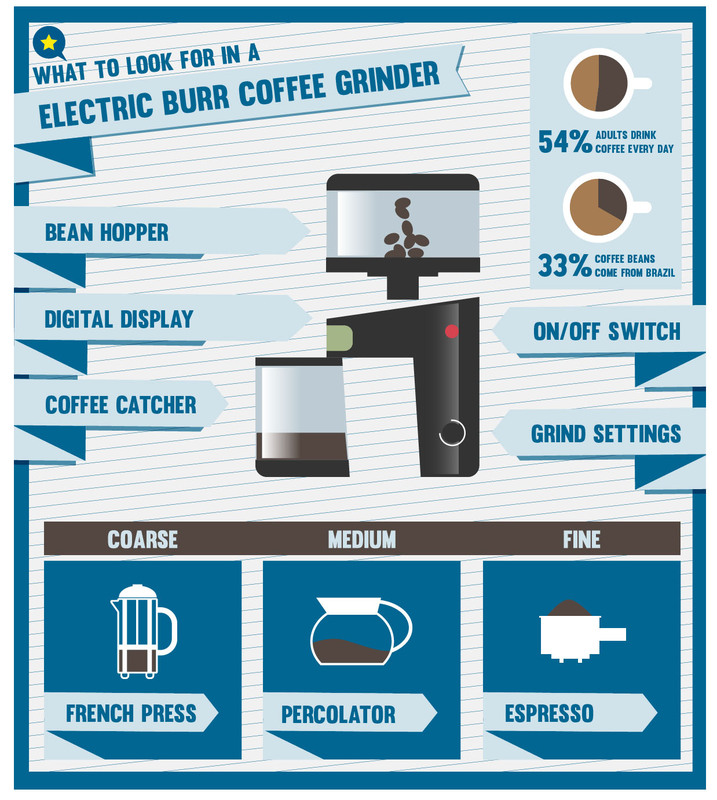 *This review covers top electric burr grinders on the market before and since the last time we created this guide. If the answer is anything other than “Yes”, it’s time to use this review to get yourself a better one. Now, most of us enjoy a freshly ground cup of coffee with breakfast or after a dinner party. We dream of having the luxury of fine coffee at home, we’ve bought our coffee maker of choice and read the best electric burr coffee grinder reviews until our heads are spinning. Well, to try and put an end to all this craziness, and to hopefully save you time, hassle and maybe a few bucks here and there, I am providing you the results of our research and testing. We started by listing all of the top rated burr grinders that we could find for sale in high street shops and online. We then pored over literally, thousands of reviews to be able to bring you the most helpful information on the best burr coffee grinders for home use. We listed 22 in the shortlist for this category. There are so many variables to get right: the materials used, the size and capacity, the speed, the amount of grind settings, the type of burr and how effective they were are. There are many styles of burr grinders for sale, and selecting the right one for your needs is essential to making the perfect purchase. Speed of production, burr grinders can produce enough coffee for up to 18 cups in around a minute. Once made, the ground beans are dispensed into catchers, some of which are detachable or even anti-static. The good thing about having a removable catcher is that you can keep any unused coffee fresh until the next time. The hopper’s capacity usually comes in at around 7-8oz which is ideal if you are planning on entertaining. Many residential burr grinders provide a choice in the coarseness of grind. There can be as many as 40 grind settings from course grind for a French press, up to fine for the perfect espresso. Usability. Electric burr coffee grinders couldn’t be more simple to use. Simply fill the hopper with your favorite coffee beans, select the desired grind setting, press the button and the machine will do the rest. Most burr grinders also deposit the freshly ground coffee into the coffee catcher automatically. Indicators, higher end burr grinders feature LCD displays showing grind settings, programmable timers and other useful features. Materials, electric burr grinders tend to be constructed from either plastic or stainless steel, this means that not only do they look right at home in your kitchen but are also no trouble to clean and maintain. Burrs, the burrs themselves are either conical or flat plates and are made from either steel or ceramic. Warranty, most of these products come with a standard one year warranty. However, there are some that come with extended warranty that will give you some longer extra protection. You can also consider buying extra warranty time for some of the more expensive burr grinders. After scouring everything from scientific papers, and manufacturers product specifications to consumer reviews (plus one or two heated debates between us all), we were able to get the list down to the top 10 electric burr coffee grinders we finally picked to be tested. The primary task of any coffee grinder is to produce perfect ground coffee in just a few moments. This year we tested the burr grinders using a a variety of beans and styles of coffee informed by The Barista’s Ultimate Guide to Coffee, we spent many a morning tasting different types for smoothness and flavor complexity before we settled on the ones for the tests (we enjoyed this part!). We selected our participants from our product testing program and then sent out the grinders with the beans and guidelines for them to test at home, and also got the burr grinders ready for ourselves. Once everyone had their burr coffee grinders to test, each panelist started by noting down the build quality, settings, size, features and other basic statistics for them. Then everyone got to work and ground some beans, taking down the time it took, the ease of use, the uniformity of ground, ease of cleaning and of course, how rich and delicious the finished product was. Everyone then applied a score for each. This process was repeated several times for each machine across all of the panelists. We also used an app to measure the noise level of the various machines. After a few days the testing phase was complete, we had finished testing all the products and the panelists scorecards were taken in ready to be analyzed. Maybe it was all the caffeine, but we couldn’t sleep for wanting to know what the ranking order of the top rated electric burr coffee grinder was, and after a couple more days they were ready. Then we cross-checked the prices and discovered our favorite picks were not always the more expensive ones. Though, mostly with these products, you generally get what you pay for. This electric burr grinder from Gourmia helps you experience the tastiest coffee in the comfort of your own home. By twisting the coffee bean cup, the Gourmia GCG165 can adjust the coarseness of the grind from French press (coarse) to drip (medium) to espresso (fine). Its compact design and simple push button operation helps to make this personal coffee grinder a great way to freshly grind your beans and customize your coffee. Adjustable grind to coarse, medium and fine. Small footprint – nearly the size of a bag of coffee beans. Suction cups on the bottom to hold it securely in place. The grinder should not run for longer than a minute. Doesn’t hold a lot of coffee beans. Can be difficult to set the grind receptacle into unit properly. This grinder is fairly consistent in grinding the desired coarseness. Since it is so easy to adjust, you can quickly customize your coffee beans to your desired grind and cup. This grinder is also quick and quiet. 3 grind settings – coarse, medium and fine. Effortlessly adjust by twisting the bean cup counter-clockwise for coarser grinds and clockwise for finer grinds. Comes with a guide to aid people unfamiliar with grinding their own coffee. This appliance is simple to clean. After unplugging, just use a clean brush or cloth to wipe away leftover coffee grinds on the grinder. The receptacle can be rinsed with warm water and dried. The exterior should be wiped down with a soft cloth. Very easy to use. Simple on/off push button operation. The desired grind coarseness can be achieved by twisting the bean cup. This grinder is very light but effective. The suctions on the bottom prevent it from walking off the counter during operation. The Gourmia Compact Electric Burr Coffee Grinder (GCG165) comes with a 12 month limited warranty. The Gourmia Compact Electric Burr Coffee Grinder (GCG165) has some useful features to make this a welcome addition to your kitchen or office. Its size and sleek design can fit with any decor. With its budget-conscious price and burrs instead of blades, this electric grinder will help discerning coffee drinkers make their best brews at home. However, its small bean cup and inability to run for more than one minute may make the Gourmia GCG165 unappealing to consumers who drink large amounts of coffee every day. The Cuisinart DBM-8 Supreme Grind electric burr coffee grinder delivers the high quality you would expect from the Cuisinart name. This burr grinder not only grinds the perfect coffee beans for the perfect cup of coffee, it looks stylish sitting on your kitchen counter too. The best burr coffee grinder reviews rate this is one of the top grinders for its ability to grind anything from espresso to French press and we agree. This grinder produces a perfect and even blend that preserves the aroma and flavors of the coffee for a fine texture and rich flavor. Its ease-of-use is one of its best features and makes it a good unit for those that are just beginning to grind their own coffee. The unit has an 18 position grind selector that ranges from ultrafine to course. It also has a slide dial that lets you choose from 4 to 18 cups. You never need to grind more than you need and worry about losing flavor in storage. The elegant stainless steel styling makes it not only durable, but easy to clean as well. You simply wipe off the fingerprints and it is ready to go. It has a brush that will allow you to easily clean the grinding mechanism. Once the plug has been removed, all parts of this grinder are top rack dishwasher safe. They should not be placed on the bottom shelf. The grinder base should never be submerged in water. This model is easy to use. You simply place the hopper with beans, select the number of cups, and press the button. The machine does everything for you and then shuts off automatically when it is finished. The stainless steel body is tough and durable. It also has a heavy duty motor that will not wear out for a long time and can handle even the toughest bean grinding jobs. The grinder comes with a 12-month limited warranty. Overall this burr grinder by Cuisinart delivers exactly what you expect from a brand that has been in the small appliances business for a long time. This unit will perform just as well as some of the more expensive models, giving you a nice even grind in a wide range of settings. You may have to experiment to find the settings that are just right for you. Once you do, you could just leave it set at the right place, pour the beans in and press the button. This makes the morning routine quick and easy. This unit is fast, grinding up to 12 cups of coffee in approximately 40 seconds. In under a minute, you could be up in getting your morning started off right. This grinder makes the perfect cup of coffee easy and convenient, just the way you want to start off your day. The Capresso 560.01 Infinity Electric Burr Grinder Is one of the best electric burr coffee grinder models if you want professional grade results at home. Best burr grinder reviews rate this as the number one grinder on the market due to its precision heads that are computer-controlled to cut the coffee beans into precise angles and shapes. This grinder and its patented steel burrs can cut to within 0.1 mm precision, or 1/250th of an inch. No other grinder on the market can do this. Another thing that makes this grinder special is that the burrs are produced in matched pairs with Swiss precision. This grinder has a slow turning motor that turns at less than 450 RPM. This results in the finest precision grinding and not create additional heat in the process. The precision grinding burrs produce excellent results from the finest Turkish, to a coarser percolator type grind. It is a powerful 100 watts which gives it enough to tackle the toughest coffee beans, even at a slow speed. It has 16 total settings that offer a wide range of grinds from Turkish to course. Its extra fine settings produce a grind that is finer than most, even grinders that specialize in espresso. Its commercial grade conical steel burrs have an advanced cutting design that allow it to be able to perform with perfection every time. The gear reduced motor not only prevents heat, it also reduces noise and static build up within the grinder. Reduced heat preserves all of the oils within the coffee for the best aroma and flavor. The grinder comes with a cleaning brush and a measuring scoop for the perfect grind. The stainless steel burrs are easy to clean with the included brush. The entire unit comes apart easily for cleaning. This grinder is easy to use. You simply put the amount of beans that you wish in the top, set the timer, lock the unit in place, and press the button to start. The unit does all the rest. The body is made from heavy duty zinc die cast housing which means that it will last a long time. This coffee grinder has a limited 12 month warranty, but you can expect it to last for many years to come due to its high performance blades that will not wear out. The final conclusion on the Capresso 560.01 Infinity is that it is one of the best grinders on the market for giving professional results. The stainless steel burs and computer controlled grinding mechanism allow this grinder to produce perfect results, regardless of the setting that you choose. It is this technology, along with the slow turning motor that make this grinder a favorite with us. Any buyer of an electric burr grinder cares about the quality of their coffee, so a famous brand used by the professionals all over the world makes sense. The Gaggia 8002 MDF Burr Grinder is a steel-plate electric burr coffee grinder from the celebrated Italian maker of coffee machines, intended to equal those found in the coffee bars of Europe. It’s a compact toughened plastic unit featuring a large bean hopper that’ll hold 10 ounces. It features a quick and easy dosing lever: one pull for a single shot and two for a double. Admittedly we didn’t try all 34 grind settings, but we tried some coarser grinds for french press coffee and then some finer adjustments with espresso, and it makes a difference you can taste. It runs quietly with its 120-watt motor, grinding with 50mm tempered steel burrs and gear reduction system to minimize static and any risk of burning. Measured doses of coffee are dispensed with a quick pull of the lever, into a container that holds up to 8 ounces of ground coffee. The lever’s good for moving the grounds around and preventing any lumps or uneven grinding of fine espresso coffee: something the baristas do. There are several small compartments and tight corners in the machine, so getting all the grounds and dust out can be a labor intensive process with a vacuum or brush. It’s easy enough to grind some beans, although it may suit an experienced burr grinder user as the manual is translated with some character and seems to assume you know what you’re doing. The moving parts are clearly built to last, and many users have had one of these running for many years without any problems. The industrial-grade build is an advantage worth investing in. Gaggia offers a full 1 year warranty and support for the 8002 MDF Burr Grinder. The Gaggia 8002 MDF Burr Grinder rates among the best of our coffee burr grinder reviews for performance. It relies on its brand name and engineering for appeal, rather than any shiny premium finishes. It’s tough as nails and built to last, as many longtime users can testify. The all-adjustable grinding setting means different grades and tastes are easy to select and quick to switch between. Other grinders are somewhat easier to clean and live with, and more inexpensive, but for a professional grade machine that won’t let you down delivering great tasting ground coffee for many years to come, this is a worthwhile investment. The Baratza Encore electric burr coffee grinder is an easy to operate alternative for the beginner who is just starting out in grinding their own coffees. This electric burr grinder will grind fine enough for espresso, but is typically best suited for drip or manual brew methods. Even though the best Burr coffee grinder reviews consider this a beginning model, it still has plenty of features. One of the best features of this grinder is that it is designed to leave very little coffee in the grinder, which could spoil the freshness of the next cup. It has a powerful motor that turned slowly for quiet operation and to prevent overheating. This grinder has close to 40 different settings using both digital and manual controls. It has an additional extension for the bean hopper that can increase its size by an additional 9 ounces. The burrs are easy to remove without any tools, making the unit easy to clean. The unit has one touch operation and is easy to adjust, even for those that have never used a burr grinder in the past. It has a front mounted pulse button that makes it easy to operate with just a simple touch. You can control the amount of time for the grind manually using this function. This unit has a motor designed not to overheat, which means that it will last a long time and will not undergo thermal breakdown of internal plastic parts. It grinds slowly to prevent heat buildup, which not only preserves the longevity of the machine, it also does not destroy the oils in the coffee. The unit comes with a one-year warranty. This is a great grinder for the beginner who is just getting started and grinding their own coffees. It may not have as many features as some other comparable models, but it is also intuitive to operate. One of the best features about this model is the slow turning motor that does not overheat your coffee or cause additional wear and tear on the machine. For those who want a professional quality electric burr coffee grinder, the KRUPS GX5000 Professional may be just the right choice. This electric burr grinder is easy enough for the beginner, but still gives professional quality results. You can enjoy the same professional quality, coffee at home, that you would normally pay several dollars for at your favorite coffee shop. The best burr grinder reviews consider this one to be a great addition to your kitchen. The burr mill grind system of this grinder will not allow the unit to overheat, which assures that you can preserve the aroma and flavor of your coffee perfectly. This Burr grinder has 9 grind levels from fine espresso to course French press. It has an 8 ounce bean hopper and a quantity selector that allows you to select between 2 and 12 cups for just the right amount. It has an auto stop safety mechanism that will not allow the grinder to operate when the bean container is empty. This is a unit that is easy to clean, most does not come completely apart so that you can thoroughly clean the blade and other operating mechanisms. The unit is easy to use you simply choose the setting that you like and push the button. It has a pulse control that allows you to hand control the grind. The unit is made of lightweight plastic, but is made from a type of plastic that will not cloud over time or chip. It is more than enough for the average user. This unit is powerful enough to grind espresso, yet gives you enough control to perform any job that you needed to do. It is easy to operate and easy to maintain. This is a great grinder to start out with if you are a beginner, but want to be able to manually control your grind. The freshest coffee begins with fresh ground coffee beans. The only way to assure that your coffee is as fresh as it can be is with an electric Burr grinder. An electric Burr coffee grinder is an essential for coffee aficionados. There is nothing more satisfying than the smell of fresh ground coffee to start your day off right. DeLonghi is known for making coffee grinders that go beyond the norm. When it comes to the best burr coffee grinder, reviews have chosen the DeLonghi America KG521 Dedica as one of the best. The coffee grinds come out even and perfect almost every single time. This coffee grinder gives you professional results at home. You have the ability to choose your own setting and decide which one you like best. This coffee grinder has 18 variable grind settings that can handle everything from espresso to drip coffee, pour over, or even French press. The outside of the unit is stainless steel and wipes off easily with a damp rag. Fingerprints can be easily removed with a dry rag. As for the working components of the machine, everything comes apart easily and can be easily washed with soap and water. The top burrs come out so that they can be thoroughly cleaned between uses. The unit is easy to use. All you do is put your whole beans in the top, choose your settings with the touch of a button, put the lid on, and press start. The machine has stainless steel blades, which means that they will not wear out for a long time to come. The casing and body appears to be strong and durable. A manufacturer’s warranty is available upon special request. The DeLonghi America KG521 Dedica gives you the type of grinding results that you expect from a professional model, but you only you can have this in your own home. The versatility and ability to choose the grind just the way you like it is one of the best features of this unit. It is long-lasting and durable, which means that you will not have to plan on replacing it anytime soon. For those who enjoy both consistency and variety in their morning coffee, this electric burr grinder from Secura could be the perfect fit for your morning routine. It boasts 17 different settings, so it can grind coffee beans incredibly finely for a silky cup of espresso, or it can grind them more coarsely for a powerful cup of French press, or it can grind them at any intermediate level. It also features great quantity controls, so you can grind enough beans for a couple cups of coffee, or enough for a dozen coffee servings, depending on how much coffee you like and how many people you are brewing for. This machine is truly built to last, so even those who enjoy grinding fresh coffee beans every day will easily be able to get their money out of it by brewing fresh espresso, French press, or something in between using the fresh coffee grinds from this burr grinder. The coffee grounds cam out perfectly ground each time it was used and was great at preserving the fresh aroma of our coffee. There are 17 grind settings, so you can grind your coffee beans perfectly. The settings are relatively self-explanatory. They can be a little confusing at first, but they are easy to use after a few times. This coffee grinder is built to be of professional quality. This Secura coffee grinder includes a 12-month limited warranty. For any coffee enthusiast, this electric grinder is well worth the investment. With convenient settings, multiple grinding options, and a range of quantities that can be produced, anyone who enjoys freshly ground coffee beans will be completely delighted with this grinder’s performance and functionalities. Unlike some other similar models, this electric grinder is specially designed to preserve the fresh, awakening aroma of coffee beans, so each batch of ground beans will leave your kitchen and home smelling delicious, and will get your mouth watering as you anxiously await your cup of coffee. The Bodum Bistro Electric Burr Coffee Grinder is a burr grinder with some advanced features and materials to deliver the very best coffee grinder performance. The Bistro is a compact and stylish unit, plastic and rounded with a conical bean hopper on top. It employs borosilicate glass and silicone to eliminate static and burning and improve the user’s grip on the grounds container. The overall effect is pleasing, stylish and distinctive. Extrovert coffee lovers will love the lime green one, and several other colors are available, both muted and bright. There’s also neat ways of choosing your grind and dispensing the same amount of coffee grounds each time. It was simplicity to enable a preset option for the length of time to grind, and experimentation with this and the grade produced some pleasing variation in taste. The glass container with its non-slip base and silicone grip provided an easy way to transfer the coffee to the pot or machine right away. A preset timer, with one-touch quick grind button, allows an exact amount of beans to be dispensed and ground every time, cutting down on waste. The grade of the grind is adjustable by twisting the bean hopper, which allows quick switching from coarse to fine grinding and back. There are fewer steps to grinding coffee than some burr grinders, particularly once you have a preset quick grind set up. Just one press releases your chosen amount of beans and grinds them for the selected duration. The materials – glass and silicone – are top quality. Avoid breakages and they should provide long service. Bodum spares are readily available. With strong looking mechanicals it should last a long time. Bodum offer a standard 12 month warranty for the Bistro electric burr grinder, with two years cover for any electric unit defects. The Bodum Bistro burr grinder is a great choice for adding a fresh grind immediately before your coffee making ritual. It keeps the process quick, simple and minimizes the risk of slipping while using high quality static-free glass to hold the grounds. It’s not only a nice looking machine for a kitchen or bar. Plenty of thought for usability has gone into Bodum Bistro coffee grinder. By using a conical burr, it promises a consistent and friction-reducing grind, with no sharpening required. The mechanical innards are some of the best among the electric burr coffee grinders on test. The Breville BCG820BKSXL Smart Grinder Pro electric burr grinder is one of the most versatile and powerful electric burr coffee grinder models on the market. According to many best burr coffee grinder reviews, this model does more than most of its competitors in terms of the ability to give you the exact grind that you want. It has precision controls that allow you to just adjust the grind in as little as 0.2 second increments, allowing you to make the perfect coffee for you every time. Let’s take a look at why this model is one of the best-selling brands on the market. This is a high precision machine that allows you to get your coffee just the way you like it. The grind on the finest settings is almost powdery. The bean grind was found to be consistent and easy to adjust. This coffee grinder had 60 different settings and the ability to adjust the grind time by less than one second increments. The body of this machine is black and does not show fingerprints easily. A quick wipe is all it needs on the outside. The unit comes apart easily, but some of the internal pieces need to be cleaned with a brush that is provided. Because of the fineness of the grind, this unit needs to be cleaned often. This unit works like most burr coffee grinders. All you do is put your beans in the hopper, choose your settings, and press start. If you want even more control over your grind, you simply adjust the knob on the side to move the upper burrs up or down as needed. This unit has strong stainless steel conical stainless steel blades that will not wear out for a long time. They will stay sharp, even under heavy usage. The product comes with a one-year limited warranty and additional extended warranties are available for a fee. The number of settings and selections on this machine are unheard of in a model designed for home use. For those that like the absolute best cup of coffee possible, this machine will allow you to achieve it with these. This machine is well manufactured and will last for many years. The Baratza Sette 270w has taken 8 years to be designed, perfected and refined. It came to life in Liechtenstein, after eight long years of developing and has completely changed the game for at-home espresso enthusiast. The 270w doubles the efficiency of similar coffee grinders of its size. With its rotating outer burr and fixed inner burr, it allows the coffee to vertically pass straight through the grinder and then directly into your grounds bin of choice. In addition to the dual burrs, the 270w also comes equipped with a Bluetooth feature that can monitor and track your grind sessions, as well as weights and settings. It’s extremely innovative and revolutionary because it uses the weighing technology of Acacia, which uses the weight to grind the beans. Very user friendly, even the home brewer could use product with ease. Could be taken as overly complicated by someone who just wants to brew a simple cup of coffee. This product was in development for eight years, leading to absolute perfection of the performance of the product. It’s built for daily use, and the quality of the materials will ensure that the Sette doesn’t simply fall apart. The burrs are made from an extremely durable material, leading to years and years of use. The Sette comes with a Bluetooth feature that helps record and track your grind sessions. It also has a very user friendly LED display for adjusting the different grind sizes. Due to all the components of this product, I would recommend taking all the components apart and washing them each separately. Very user friendly. Whether you’re a barista or just at home making a cup of coffee before work, you’d be able to use this product. This product was definitely designed with the ease of the consumer in mind, because nearly every aspect is easy to understand. The Baratza Sette 270w is quiet durable. It is designed for repetitive daily use so it’s meant to take a daily beating. Unsure about the warranty offer for the Baratza Sette 270w, however the company offers support for technical issues. People across the world like to wake up to a nice cup of coffee to get them ready to tackle the day or even to enjoy sipping on while in the company of others. The aromatic and flavorful properties of coffee has appealed to the masses for hundreds of years. It only makes sense that those coffee drinkers looking to brew their own cups of coffee should rather opt for coffee grinders that operate at a level of performance to produce the highest quality ground beans ready to be brewed. Burr grinders, also known as burr coffee mills, are capable of this type of performance and are a popular choice among coffee aficionados. These machines tend to have a higher cost than the more rudimentary blade style grinders, however, the price is more than justifiable when comparing the quality of ground beans produced by both. The value of burr grinders are evident upon enjoying a cup of coffee brewed after the beans have been ground by one of these machines. Burr coffee grinders deliver a medley of enhanced flavors and aromas to the coffee drinker’s senses in part due to the low amount of heat they emit when operating and the uniformity of the size of the coffee grounds. The best burr coffee grinder reviews will give you an idea of what options are available on these machines and what kind of performance you can expect from the grinders. Here, we will give you a brief overview in order to arm you with the knowledge necessary to see that burr grinders are the most ideal when looking for a coffee grinder, and to help you decide which of those is right for you. There are two major types of burr grinders available: Conical burr grinders and flat plate burr grinders. Choosing the best burr grinder depends on a variety of things including budget, but both styles are capable of delivering the consistent, high quality grinding that is to be expected by the consumer. Most electric burr grinders are equipped with the ability of operating under different settings to produce varying levels of coarseness of coffee grounds. This is an important feature when fine tuning your beans to produce the drink of your choice. In addition, burr coffee grinders can typically be set via timers to aid in your busy schedule or based on the quantity of cups desired. The convenience and ease of this option is a most definite welcome to the passionate coffee drinker. This “set and forget” option is not likely to be found on the more archaic blade grindersm (aka chopper style grinders) which are also inferior to burr coffee grinders in the consistency of delivering uniformly ground beans. Conical burr grinders contain two ridged devices with jagged surfaces which the coffee beans are placed between. As the beans are brought between the surfaces, one of the components turns while the other remains stationary and the coffee beans are ground into mostly uniformed size particles. These conical style grinders tend to be cheaper than the flat plate design counterparts and are available ranging from bargain class level to high-end elite models. These grinders tend to operate at lower RPMs. This attribute means they produce less noise and the bigger surface area of the cones mean they are able to shed heat at a faster rate than their flat plate counterparts. This is very important to note as higher amounts of heat can have adverse effects on the aroma and flavor of coffee as you are essentially re-roasting the beans! Flat plate grinders consist of two discs facing each other which, like the conical style grinders, manage to deliver uniform size grounds by drawing the coffee beans between them. These grinders typically put a bigger dent in the consumer’s wallet than conical burr grinders and produce more noise and heat due to the higher speeds at which they operate. As stated, this can have a negative effect on the taste of your coffee. Beyond choosing between conical and flat plate designs of grinding mechanisms, there are other criteria that need to be looked at before deciding which is the best burr coffee grinder for you. Component material, storage capacity, and grind coarseness selection are all important and need to be considered before making a sound choice when deciding on a burr grinder purchase. Conical burr grinders and flat plate grinders are both available to be equipped with either ceramic or steel components. As with anything, they both have their pros and cons. Those grinders utilizing ceramic parts are durable and ideal for producing quality espresso. The duration in which ceramic grinders can operate is sometimes double that of steel grinders. Since ceramic is more brittle than steel, you run the risk of having the grinder suffer chips in the event a pebble or other foreign object may find its way into the machine. Steel equipped grinders are more often the cheaper way to go, however, the downside is that they suffer a shorter lifespan than their counterparts. On average, steel equipped grinders produce more uniformity with ground sizes and many people state this produces a cleaner taste of simple flavors. Coffee drinkers looking toward espresso are likely to prefer ceramic burrs due to the more complex flavors delivered by them. Of course, the quality of the beans has an affect on overall taste as well. Electric burr grinders often come in either “stepped” or “stepless” configurations. Stepped grinders sport the ability to grind coffee beans to specified levels of coarseness based on a number of preset options. These preset modes are often chosen using a lever system or dial mechanism that allows the user to set their selected grade of coarseness with quickness and ease. For the coffee drinker that regularly switches between types of drinks, these grinders make things easy for them to grind the beans accordingly. Stepped burr grinders, while convenient for quick selection, are limited in the number of choices allowable to the user when deciding how coarse they want the coffee ground. The best burr coffee grinders offer a large number of grind step adjustments to allow for higher precision for the type of brew desired. Some commercial grinders come equipped with more than forty settings. Those machines aimed more at the typical consumer, such as the Baratza Sette 30, come with thirty steps of adjustment. Those on a tight budget might find it suitable to look for machines capable of at least twenty steps to ensure they have a decent number of options for a variety of drinks. Stepless grinders offer much more flexibility in the gradient of the coarseness to which the beans are ground. This allows for much more customization and fine tuning to fit your needs.The negative with this type, however, is that it may be difficult to find where you had the machine dialed in should you decide to grind at a different coarseness and then want to return to the previous setting. Stepless grinders may not be ideal for somebody that frequently switches between differing coarseness levels. Storage capacity is another major feature that needs to be examined when scrutinizing burr coffee grinders and trying to make a choice between the many options available. Those with larger hoppers for accommodating more coffee beans make it more convenient to walk up and start grinding away. Of course with this being the case, you may be sacrificing the freshness of those precious beans as they sit around in the hopper waiting to be ground. One should consider how many cups of coffee they drink on a normal basis and the frequency in which they need to grind beans when looking at storage capacity. 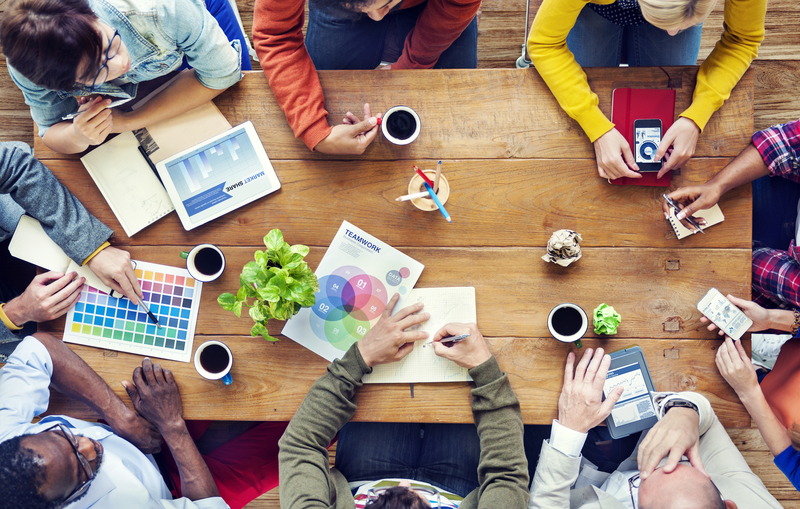 Coffee plays an important part in getting people up and moving in order to be productive in their daily tasks. Beyond that, the aromatic and flavorful impact upon the coffee drinker’s senses brings joy and adds to the energy jolt made possible through the brew. We have determined that the coffee grinder one uses is of vast importance when preparing to create a delectable cup of coffee for people across the globe. Those looking to brew delicious cups of coffee seek a device that delivers consistency when grinding their coffee beans. We’ve learned that burr coffee grinders, whether they be of the conical or flat plate design, are superior to the alternative blade style grinders when preparing beans about to be brewed as they offer much the consumer much better flavors and aromas. We’ve taken a quick look at the differences between steel and ceramic burr grinders in order to help determine which is more ideal based on budget and taste preference. Deciding between stepped or stepless burr grinders should be a little less confusing now that we’ve examined the differences between the two options. With the knowledge you’ve gained after reading about the many styles and options available on burr coffee grinders, you can now begin deciding which best suits your needs when creating your delicious cup of brew.